Factory original data sheet included. 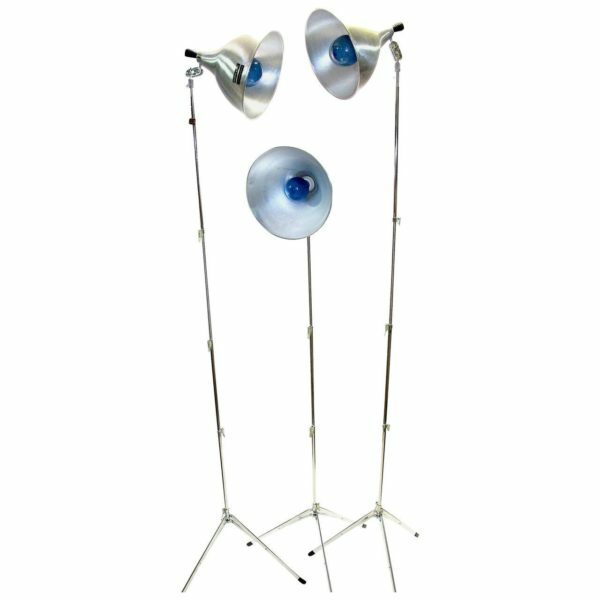 Real wood rear adjustment handles, polished aluminum reflectors, vintage ceramic lamp sockets for durability. Acme-Lite began building these type of movie lights back in 1947 in Chicago and a like new set like this one is a very rare find. Later, Acme-Lite Manufacturing Company was sold to Smith Victor. So this design is the ORIGiNAL, that was later copied by Smith Victor. 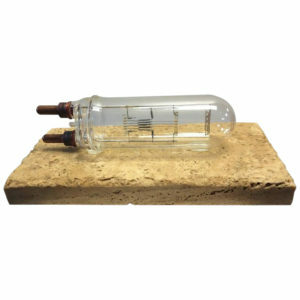 Great for display or practical incandescent or LED lighting at home or at the office. These can even be used by a modern filmmaker to shoot his movie. A wonderful look of the 1940s, updated in the 1960s. Truly classic.